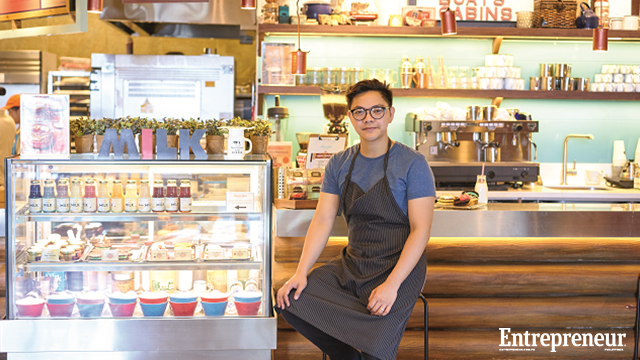 A self-confessed cookie lover, award-winning pastry chef Miko Aspiras found inspiration from the iconic Girl Scout troops in the United States for his own craft cookie shop and milk bar, Scout's Honor. “Cookies are something familiar to Filipinos, yet most do not have the time to [make them] at home,” he says. Together, he and his partners, Kristine Lotilla, Dwight Co and Charlie Paw are wowing diners with the shop’s signature craft cookies and its make-your-own-cookie concept at Century Mall's Hole in the Wall. While Aspiras claims the name “Scout’s Honor” was inspired by a camping movie, what the brand name tries to resonate is his team’s dedication to the quality of products they put out. “If you’re not satisfied with our cookies, we’ll bake a new batch for you. To do that, we don’t allow our cookies to stay more than 24 hours,” he explains. Whether a customer opts to buy their signature cookies or decides to make their own, Aspiras says both options offer unique experiences for customers. Of their signature craft cookies, there are Cub Scouts Cookie or an Eagle Scouts Cookie variants. Some of the most popular Eagle Scouts Cookies are Cookie Inception and Matcha Sesame, while one of their Cub Scouts Cookie, "1969", was named the cookie of the year by Yummy magazine. “If it’s your first time, go for the basics. If it’s your second time, try something new. It’s trial and error – then next time, you’ll have a favorite,” he adds. Despite the appeal of Scout’s Honor even during its first months of operations, Aspiras says that the challenge was training the staff to prepare the cookies carefully. “Some are rolled out, some are cut, and then assembled, then rolled again,” he explains. “Right now, the staff are hungry to learn and I treat them as students." The product development is always ongoing in order to offer unique cookies and beverages to customers. Its milk bar now offers more unique flavors such as sweet potato, taro and papaya. 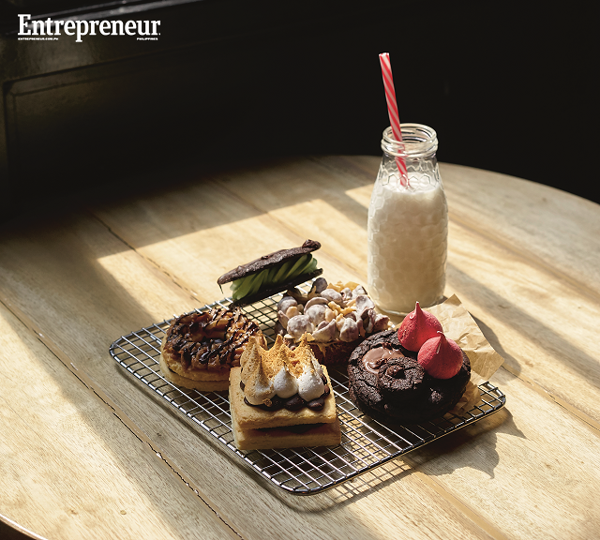 This article originally appeared in the October 2015 issue of Entrepreneur Philippines magazine. Minor edits have been made by Entrepreneur.com.ph.